With our own Research & Development department we are able to respond directly to the ever changing market situation. Our systems have been designed and developed in-house and are patented as well as model-protected. Everything has been designed from a practical standpoint on the window decoration market, with elegance and style in mind. 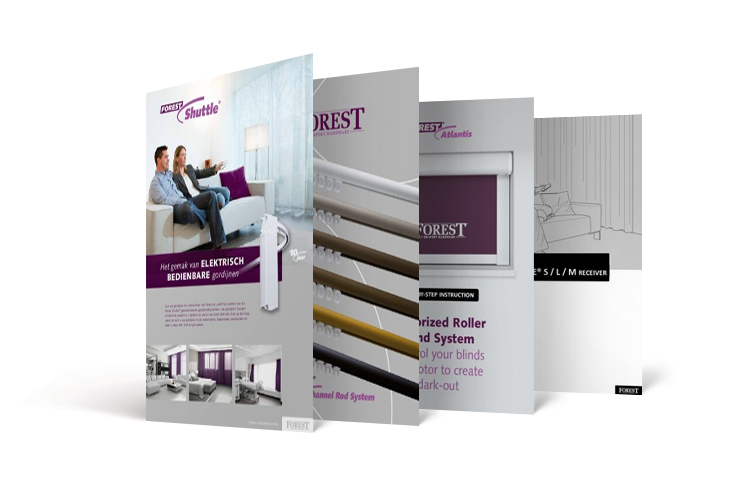 Forest is focussed on this market and understands the customer demands. All technical information and the specific parts/articles of our systems can be found in our brochures. For the advanced technical info of the motorized systems a separate booklet is made with all technical and installation information in it. With our international sales force we are able to answer all possible questions from the market. Furthermore, our dedicated Back-Office is available for the first line support. Our export managers visit our customers frequently to train people or to generate more business together with our customers. Own designed support tools are available to bend the tracks in all possible curves. Even circles are possible to make. These compact tools can also be easily used on site to bend the tracks. A Forest Cutter to cut the tracks is available. And of course a detailed guide on how to use all the tools. 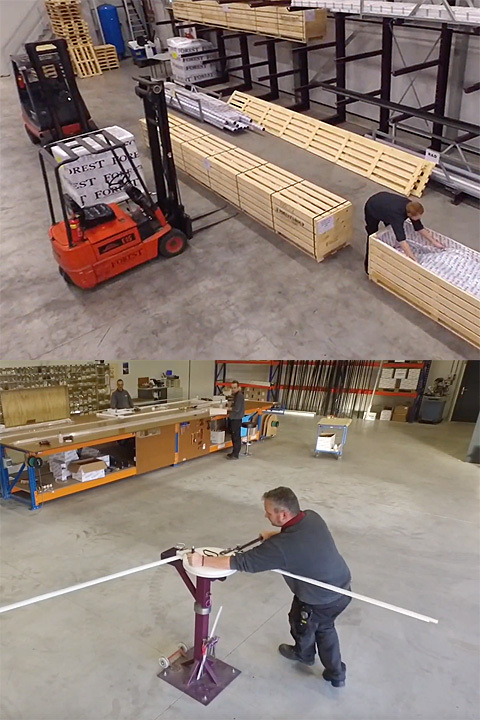 For customers without an assembly department it is possible to deliver the systems custom-made and ready to install. This made-to-measure is produced by our Assembly Department and can be shipped worldwide. To be sure that the high quality systems will arrive in good shape at our customers’ warehouse or at the construction site, special treated wooden crates are used to ship the goods.